ARTS. LITERATURE. ENTERTAINMENT. LIFESTYLE. CULTURE. Resurrection Laughter! An Easter Day event. ABUJA! This Easter something hilariously spectacular (how’s that for hyperbole?) is coming to you. A.R.T is proud to announce that as part of our Theatre Support Program (TSP) we will be working with the Catholic Youth Organization of Nigeria (CYON) to bring you: RESURRECTION LAUGHTER! on Easter Day. 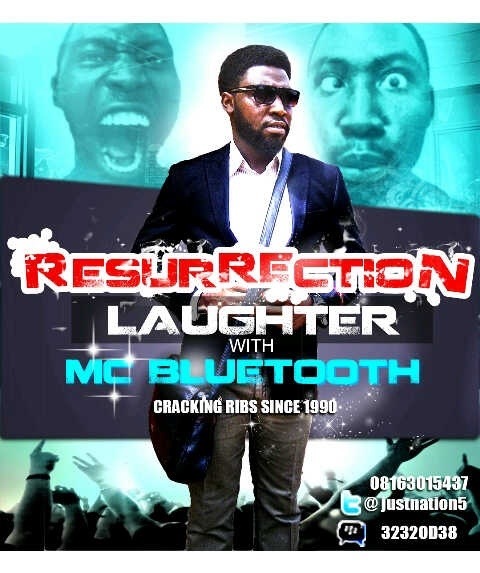 Ressurection laughter on Easter Day is going to be a fun-filled event hosted by Mc Bluetooth® and Co-hosted by D2® – both guilty of cracking ribs since 1990 (True story! We once testified against them in Comedy Court). If you’re spending Easter in the FCT then you have to be there! If you’re not spending Easter in the FCT, then you better start changing your plans. Ah but we hear you asking Where? When? And how much e go cost? It’s going to be non-stop laughter and fun at the Resurrection Laughter show (seriously, if you no gree laugh we go fine you!). There will be FREE recharge cards to be won and Barbecue (go ahead and lick your lips) as side attractions. Also, the Sickle Cell Aid Foundation (SCAF)will be providing FREE Genotype testing, so if you don’t know yours (abi you don forget) this is an easy opportunity. Knowing your genotype can save lives, relationships and marriages. A.R.T – African Renaissance Theatre & Ent. To find out more about our Theatre Support Program check here and here.